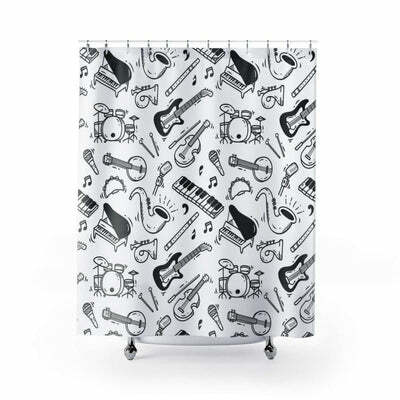 Take a shower and sing with this Music Note Shower Curtain! 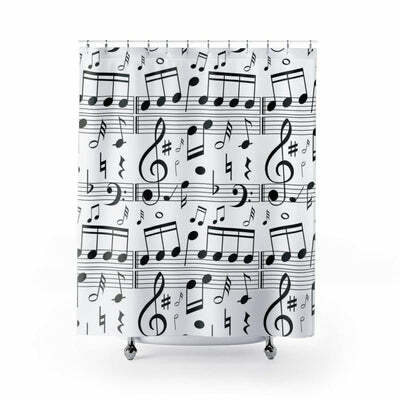 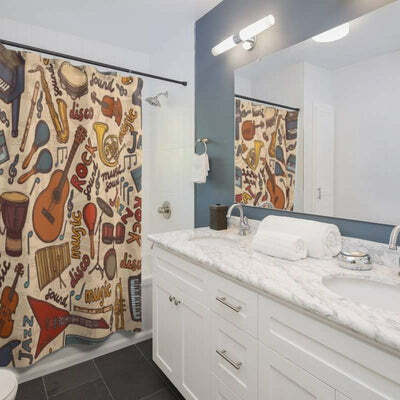 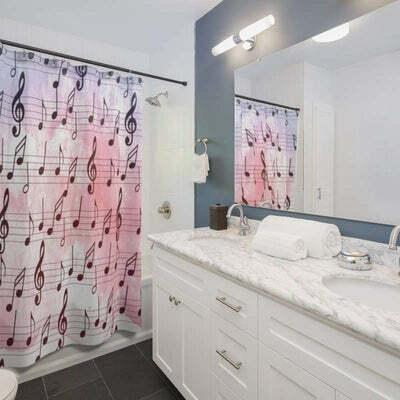 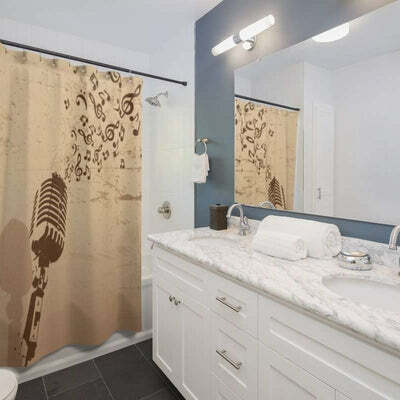 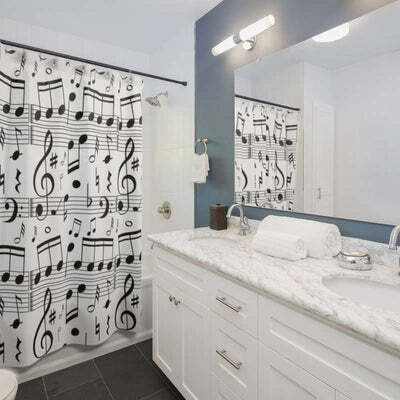 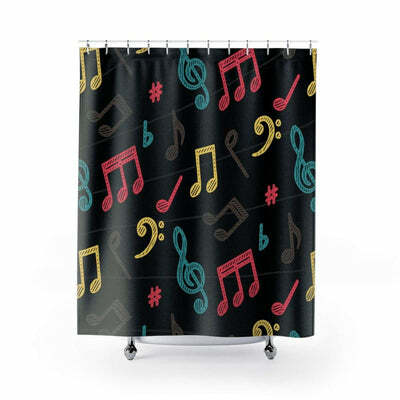 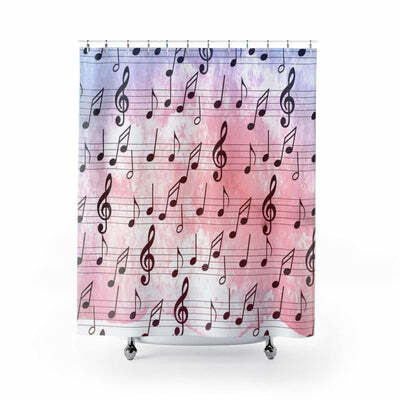 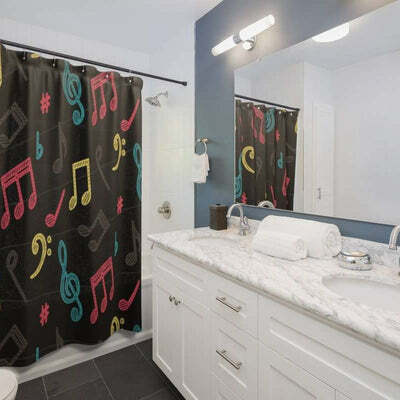 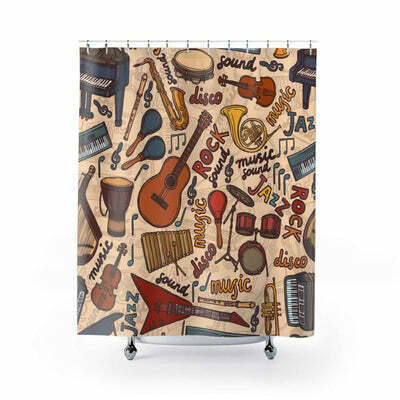 Show your love of music in the bathroom with this great quality Music Note Shower Curtain. 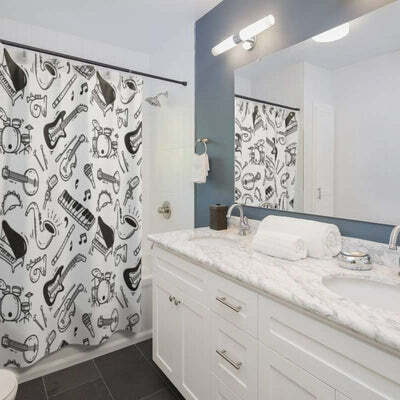 It stands out and makes your bathroom the room you want to be in and enjoy. 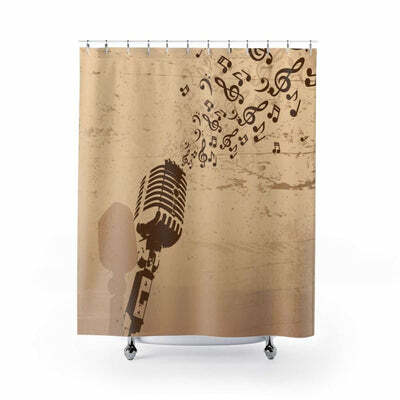 Would make a great gift idea for that musician or music lover.